Results are tallied and I was the winner for Kids Week on So You Think You’re Crafty! If you missed the entries last week you can check them out here. I was delighted to learn that my Peg Doll Family kids craft won 1st place for this round. My daughter had so much fun creating this piece of art work, and I love that it is something she created that can fit so easily into our decor… unlike the Cheerios art that can never seem to find a good home. Paint plaque a solid color and allow to dry. Paint heads of the dolls in a skin color, and the body in a clothing color of choice, allow to dry. With the help of an adult, use the hot glue gun apply the googlie eyes, and hair to each peg doll. Add a smile or other expression using the Sharpie pen. 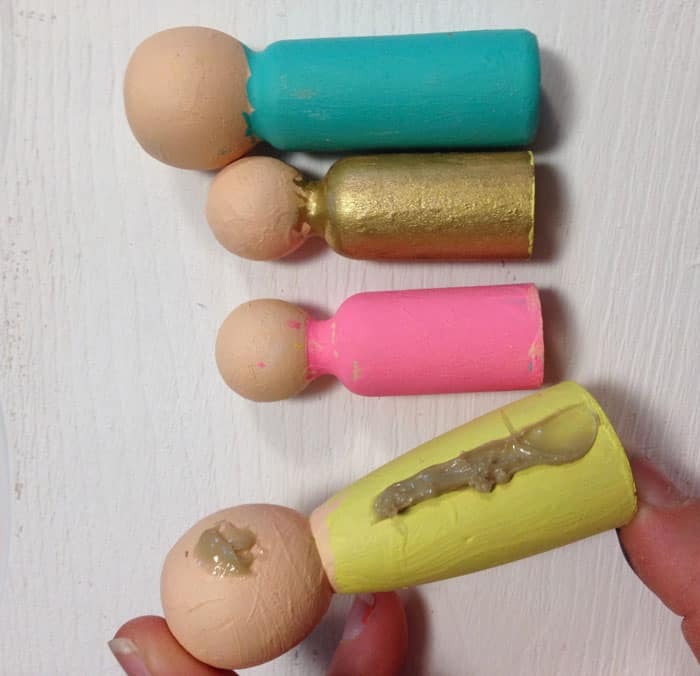 Using wood glue, apply one line of adhesive along the back of the peg doll and adhere to the plaque. Add a phrase to the bottom of the sign using vinyl stickers or hand paint. Suggestions- Our Family, last name, love grows here, together etc. Aren’t the little dolls so cute?! My daughter worked on this by herself, and I just helped with the gluing part. The peg doll family craft found a perfect home on our hutch. It fits perfect and Ruby loves seeing her artwork right front and centre. It’s fun to learn how kids see your family from their little artistic minds. Ruby was upset we didn’t have the appropriate color yarn to match my hair, and was really worried that people would think her craft wasn’t nice because we didn’t have arms! This peg doll kids craft was super easy to make, and kept her occupied for a few hours. Wouldn’t it make a great gift for family?! 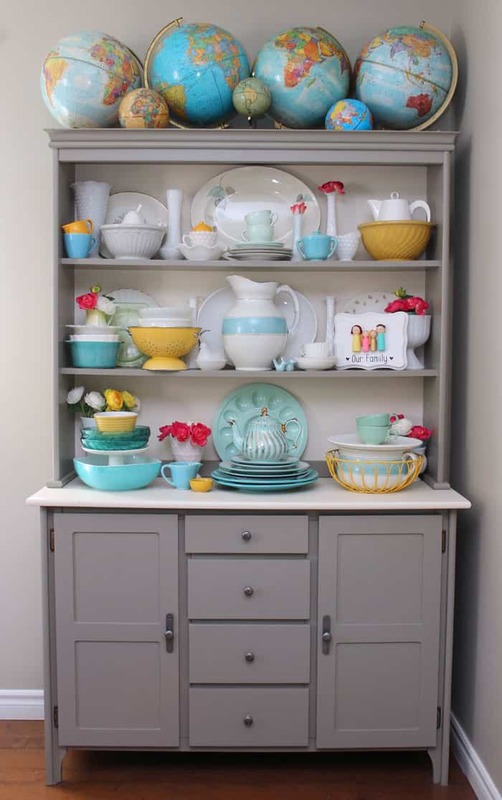 This is fantastic, thanks so much for sharing on craft schooling Sunday! This is so adorable. I want to make one for everyone I know! My kids are now all taller than me so I’d have to get 4 tall pegs and I little one for me! 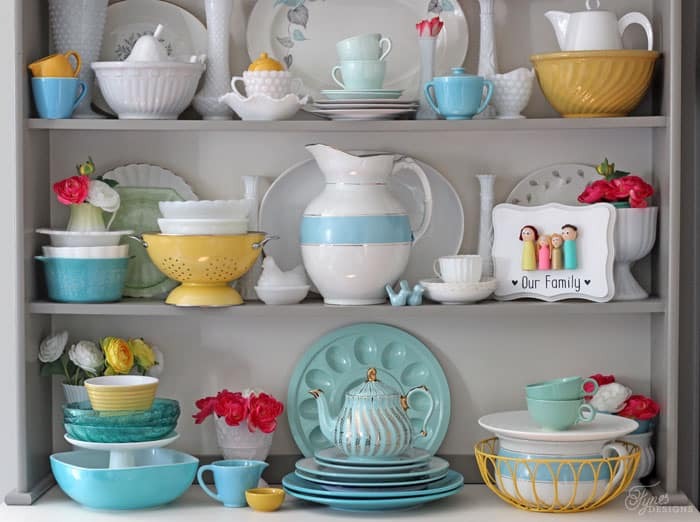 I love the idea of matching the colouring to match the family members. I’ve pinned for now but I would love to actually make this, rather than the pin and don’t make that I normally do! Ooh, I just love this idea! 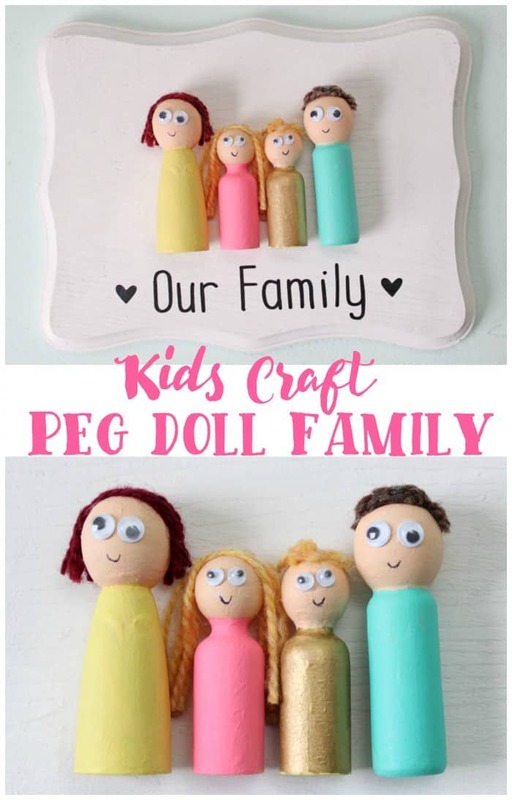 Definitely going to have to get some peg dolls and give it a try! Super cute, love them. I hope she makes another family too that she can play with/move around a bit… That would be fun too. Yes!! That would be so fun for her! This is such a cute idea! I would love to make this and hang this on a wall or something to represent our family. Thank you for sharing with us at #ThrowbackThursday we hope to see you again this week! This is such a cute idea! My 7 year old daughter would love this too! I might just have to set her up! These are adorable. I think my little grand daughter would love to make a family of them. Great idea! What an adorable idea!! I love it. I am going to have to remember this to do with my five year old on one of her days off from school. And I agree with Kara, your hutch is fantastic! Thanks for linking up at the Pretty Pintastic Party! We are excited to feature this post in next weekend’s party, so stop by, grab a featured button, and share some more amazing posts! My daughter and I – mostly my daughter (4) – made this on our Mommy/Abby day last Friday. I wish I could add a picture to my comment. We simplified it a bit, but I love it. And more importantly – Abby LOVED it! She was so proud of herself and we had a blast! If you have other kid-friendly craft tutorials, we’d love for you to submit them. If you would like to display a featured button on your site, you can get one from the right side bar of your post above. Thanks for a fantastic project idea! 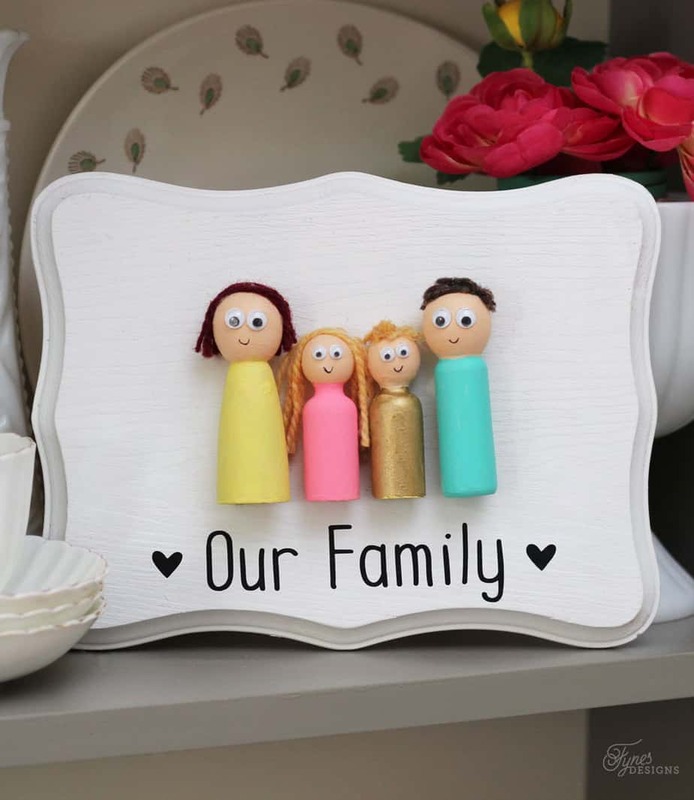 I love your little painted peg people family do you have other patterns for wooden pegs Love it!!!! !